As I write this up, my baby nail has just broken on my right hand *woe, woe, woe! * Thank you Kettlebell! These are being added to my Cheeky collection, you can view my last post on the brand here. (Quite good nail growth in two months, if I do say so myself!!) I wanted to try more of their nail paints cos I quite like the consistency. Seeing as I've tried a some what dark shade previously, it was nice to have a dark & light mixture and wait, how good does purple & yellow look together? Here is Orchid You Not & Lemon Tart. I applied two coats of the purple, no problem. The yellow, I applied the first coat and left it to dry it was albeit a tad, streaky? patchy? Maybe uneven strokes is the thing I'm looking for, which led for the second coat to not be even as the first coat was uneven it led to the second coat to be just that. I decided to leave it to completely dry and it was noticeable to myself, nobody else I'm sure but me knowing was going to drive me to an early OCD grave. I did a third coat when it was rock hard dry and voila - perfect. Honestly this wouldn't put me off lighter shades of Cheeky Chat Me Up Nail Paints, it was my first experience and next time I'll know to do an even base or it might even be perfect, who knows but all I know is me and the broken nail (who is now resting in the bin) really do like these paints, they cover well, glide on well enough for me. 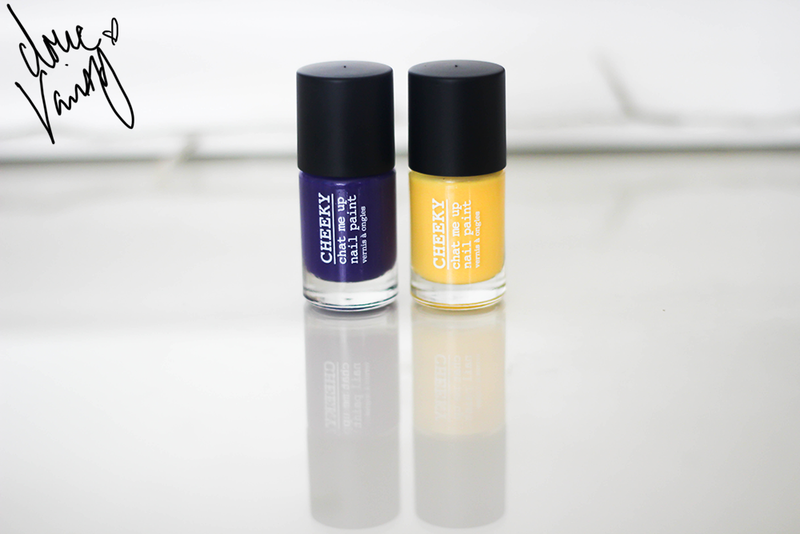 Have you tried Cheeky Nail Paints before? That deep purple is gorgeous, as much as I like pastels I have to say that dark nails will always win my heart. 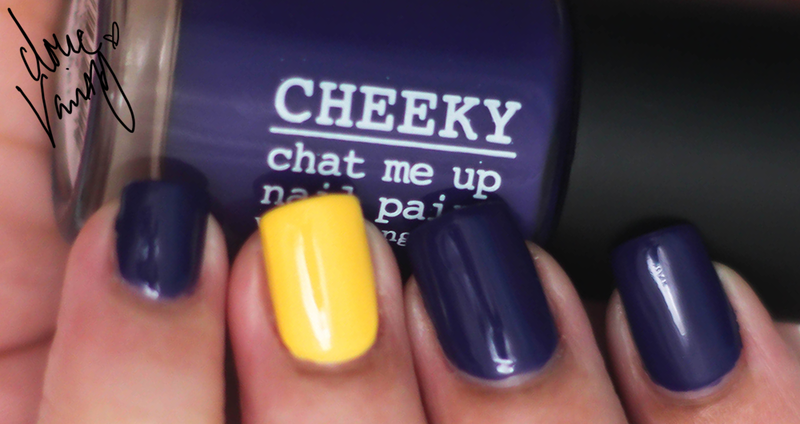 Love these colours and I've never heard of Cheeky Nail Polish before! It's so hard to find a nice non-neon yellow - this one is gorgeous.